This semi detached bungalow is situated in the village of South Molton near Combe Martin and can sleep four people in two bedrooms. 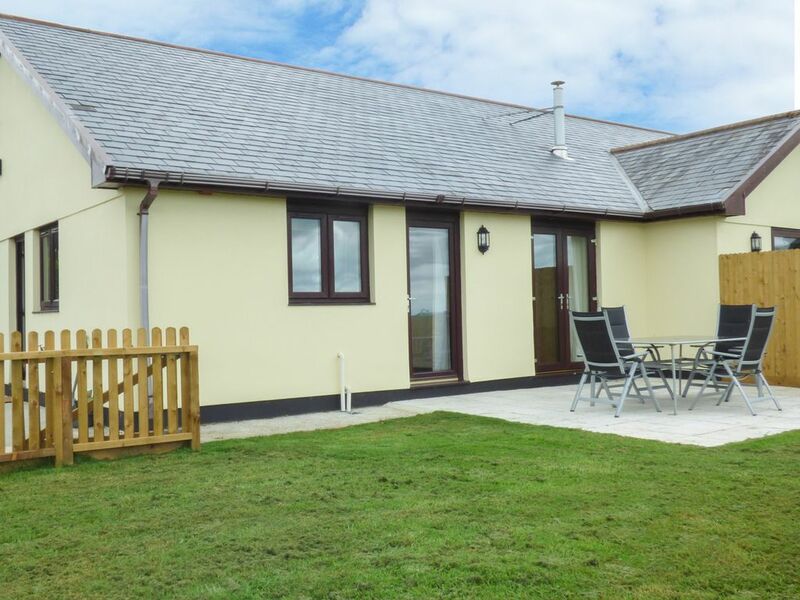 Elworthy View is a semi detached bungalow resting in the village of South Molton in Devon. Hosting two bedrooms; a king-size double and a twin, as well as a family bathroom, this property can sleep up to four people. Inside you will also find a kitchen with dining area, utility and a sitting room. To the outside is off road parking for two cars and an enclosed lawned garden with furniture. Situated in an attractive market town with much to explore nearby, Elworthy View is a delightful cottage in a lovely part of England. Amenities: Oil-fired central heating. Electric oven and ceramic hob, microwave, fridge, freezer, washing machine, TV with Freeview, WiFi, selection of books and games, Fuel and power inc. in rent. Bed linen and towels inc. in rent. Off road parking for 2 cars. Enclosed lawned garden with furniture. Two well-behaved pets welcome, Sorry, no smoking. Farm shop 8 mins walk and pub 3 miles. Town: South Molton is known as The Gateway to Exmoor and is ideally placed in North Devon, boasting a range of shops, amenities and a weekly market. Being pleasantly situated not far from both coastal and inland beauty spots it will suit visitors of all tastes. In close proximity are forests, moors, rivers and coast, with churches and other buildings of historical significance. Further afield, the resorts of Ilfracombe and Combe Martin are well worth a visit. All ground floor. Two bedrooms: 1 x king-size double, 1 x twin. Bathroom with bath, shower over, basin and WC. Kitchen with dining area. Utility. Sitting room. Oil-fired central heating. Electric oven and ceramic hob, microwave, fridge, freezer, washing machine, TV with Freeview, WiFi, selection of books and games, Fuel and power inc. in rent. Bed linen and towels inc. in rent. Off road parking for 2 cars. Enclosed lawned garden with furniture. Two well-behaved pets welcome, Sorry, no smoking. Farm shop 8 mins walk and pub 3 miles.